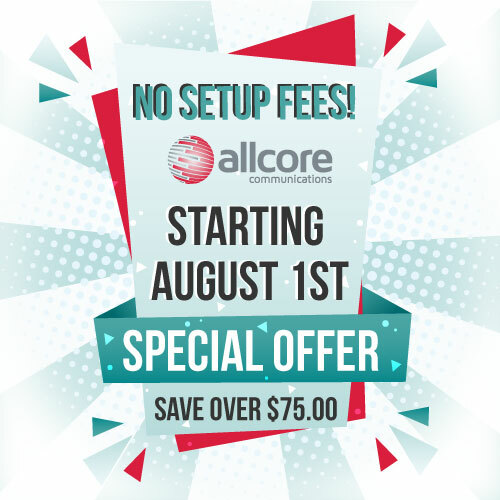 With the feedback from our customers and by popular demand, AllCore will be waiving setup fees for all new Internet orders. That’s right! Starting August 1st there will be no setup fees for all new orders. That is a savings of over $75.00! For a limited time, when you sign up for any of one of our DSL or FTTN Internet packages, the setup fee is free of charge. Act now as this promotion will not last. Contact our Sales team today to pre-order now! Already a customer? Call our Sales Team now to learn about our Referral Program 1-866-320-0011 option 2.